If you are want to contact MCD and don’t know how to contact them, then here are some phone numbers. 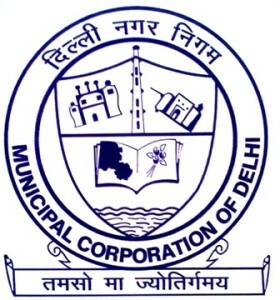 You cam lodge your complaint at the below numbers provided by Municipal Corporation of Delhi. MCD property tax department gives tax payers a different list of phone numbers for queries related to House Tax or Property Tax. The list of numbers related to different zones are below. Tax Payers can contact on the following numbers & E-mail Ids for queries related to Property tax. City Zone 011-23261725 dyanc-city@mcd.gov.in North Delhi Municipal Corp.
Civil Lines Zone 011-23970482 dyanc-civilline@mcd.gov.in North Delhi Municipal Corp.
Rohini Zone 011-27573943 dyanc-rohini@mcd.gov.in North Delhi Municipal Corp.
Narela Zone 011-27783287 dyanc-narela@mcd.gov.in North Delhi Municipal Corp.
Karol Bagh Zone 011-25726930 dyanc-karolbagh@mcd.gov.in North Delhi Municipal Corp.
S.P. Zone 011-23670019 dyanc-spganj@mcd.gov.in North Delhi Municipal Corp.
Central Zone 011-29830141 dyanccnz@mcd.org.in South Delhi Municipal Corp.
West Zone 011-25133373 dyancwz@mcd.org.in South Delhi Municipal Corp.
Nagafgarh Zone 011-25331497,25335959 dyancngz@mcd.org.in South Delhi Municipal Corp.
South Zone 011-26188715 dyancsz@mcd.org.in South Delhi Municipal Corp.
Shahdara South Zone 011-22501117 dyancssz@mcd.org.in East Delhi Municipal Corp.
Shahdara North Zone 011-22824294 dyancsnz@mcd.org.in East Delhi Municipal Corp. If you have any query related to Conversion Charge and want to contact department related to this query. Read rules for conversion charge and phone number to know more about conversion charges. If you found any of the above MCD Phone Numbers is not available and not working let us know. Mention it below in the comment area.